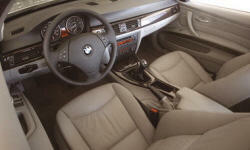 Why the 2006 BMW 3-Series? The brake is very effective to stop vehicle at high speed without slipping. The sports mode is responsive. The engine loves to be revved. The front visibility is fantastic. 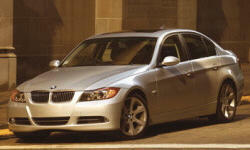 Why Not the 2006 BMW 3-Series? The ride is stiff. Long driving gives back aches. The rear seat is hard and not comfortable for 30 minute plus drive. The seat can be softer. The seats are too hard for long distance driving. It is an expensive car and offering less options, comparing to the competition. Without warrantee, the maintenance cost is mind blowing. Electrical malfunction occurs quite often, so be prepared to save up for your annual repair. There is no discount when buying one. The car is very fun to drive but make sure it does not need repair. The best way to obtain one is to get a corporate lease to avoid paying repair with your own money. Other than the reliability issues, you need own at least one 3 series in your life.